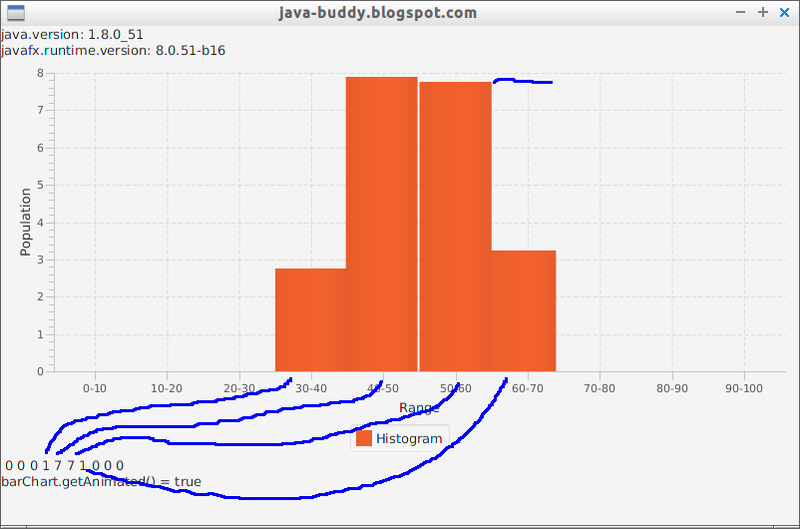 This example show how to animating data in JavaFX BarChart with Timeline, to generate Gaussian Random number distribution. The animation part refer to the "Animating Data in Charts" section in JavaFX Documentation. - Actually, I don't know what the purpose of timeline.setAutoReverse(true) in this case. * The bar show in-correct value. * The bar show not rounded integer value. In order to show the behavior, the example is modified to create two BarCharts to show the same data, with setAnimated(false) and setAnimated(true). 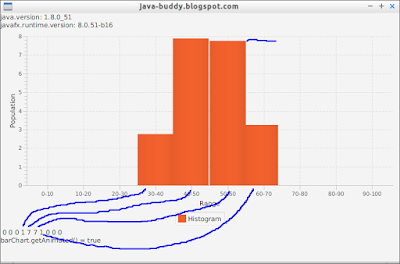 Refer to next post "Wrong report by animating JavaFX BarChart with setAnimated(true)".